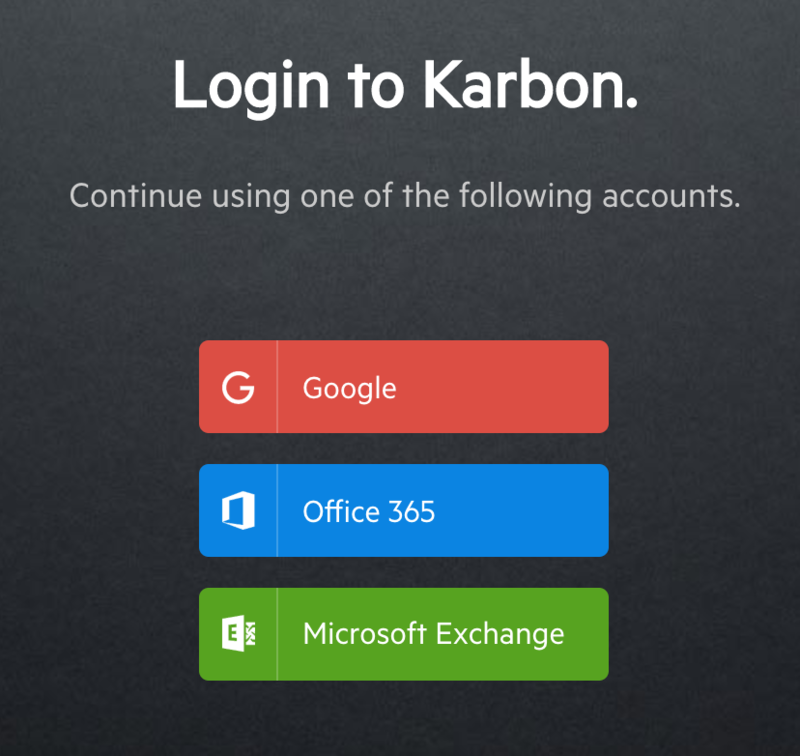 You can connect a Microsoft Exchange-based email account with Karbon by following this step-by-step guide. Once set up, you'll be able to login into your Karbon account with your Exchange email address and password. Email address matching your account. Not an email alias. 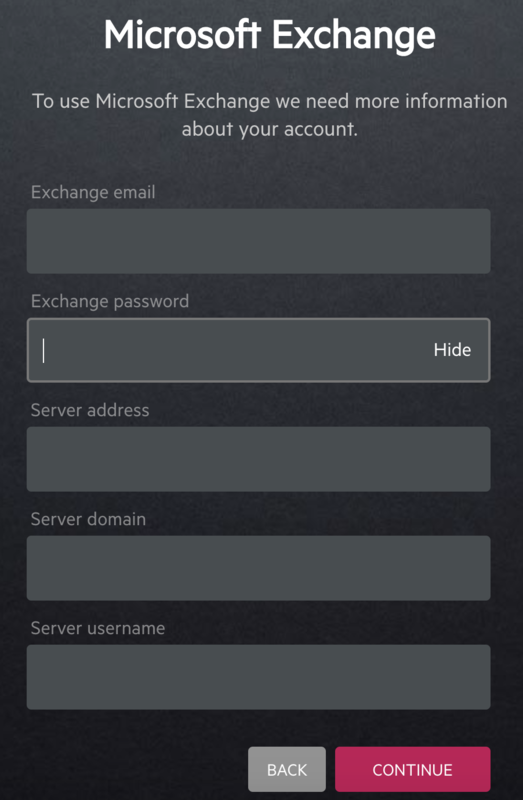 Exchange password you use to login to your email account. This is often the password used to login to your computer. 1. Open the email invitation to Karbon and click the "accept" button. You will be navigated to a browser page that asks you how you would like to continue. 2. On the browser page, click the "Continue with Exchange" button. 4. Enter your Exchange email address and password and click "Login". 5. At this point, Karbon is trying to locate your Exchange Email Server to verify your email address and password. If it can do this, your Exchange email account is connected and you will be logged into Karbon. If this occurs then you have completed the first login process. 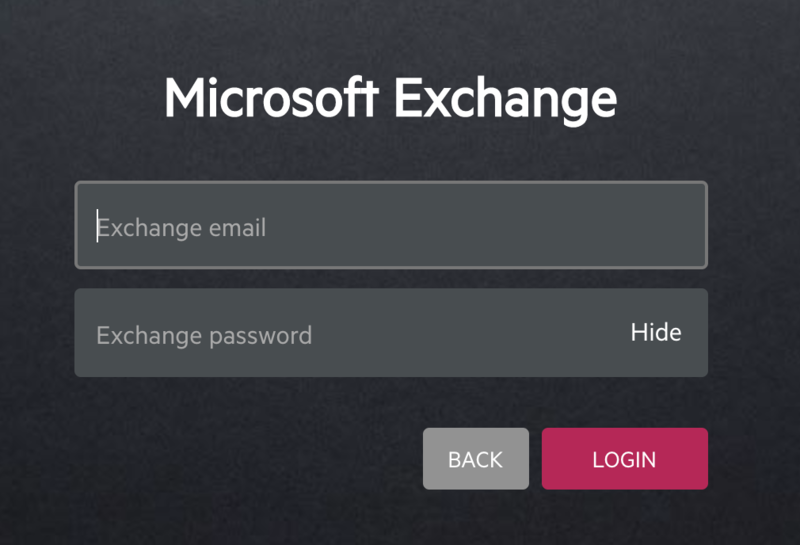 Next time you want to login, navigate to https://app.karbonhq.com and choose to login with Microsoft Exchange. If Karbon wasn't able to locate your Microsoft Exchange server automatically, you will see the following screen. This will only occur if you're the very first user only will you be required to provide this information. Once the first user in your organization is successfully logged into Karbon, the same server details are used for subsequent users. Also known as "EWS Server Address"
Will often look like https://connect.myorganization.com/ews/exchange.asmx. If the server name only uses letters and numbers in the form of an email address, use that text instead of the full https://xxxxxxx/ews/exchange.asmx address. This won't be the url that you use to access your email via webmail. This article explains how to test whether or not you have the correct Exchange server address and accounting information. The "Domain" property helps identify the computer network hosting your Exchange email account. Depending on your Exchange and network configuration, you may be required to provide the domain so that Karbon can successfully identify which account to connect to and verify that the provided password is correct. The easiest way to identify your Server domain name is on the lock screen of your computer. Your Domain name will be visible, in the form of Domain\Username. The easiest way to identify your Server Username is on the lock screen of your computer. Your username will then be visible, in the form of Domain\Username. If you can't find all the required information, you may require help from your IT support team/supplier. 1. Once the required information in each of the fields is entered, click continue. 2. After clicking continue, Karbon will use the server address provided to locate your Exchange email account and then verify the username and email address are correct. If correct, you will be logged into Karbon and your Exchange email account connected. For subsequent logins navigate to https://app.karbonhq.com and login with Microsoft Exchange. Once you have entered in these details and Karbon has successfully connected to your Exchange server, your colleagues will only need to provide their username and password to connect their exchange accounts. 1. Go to https://app.karbonhq.com. You will be presented with the following screen. 2. On the screen depicted above select "Microsoft Exchange". 3. Enter your Exchange email address and password, then click Login. 4. Karbon will verify your email address and password and then log you into Karbon.